Men traditionally muck around in sheds all of their lives. Perhaps there’s something embedded within the Y chromosome that is passed on from father to son. They have an uncanny ability to spend hours in there, either with a project in mind or to simply tinker around with mates. Every shed is as individual as the man that spends his time there and that is something that should be celebrated. This is where the concept of the Windale Men’s Shed came about. During a recent trip to Newcastle I was invited by AMSA CEO David Helmers and Shed President Roger Greenan to spend a morning here. The shed is located at Windale; a Department of Housing estate that has its own unique postcode, established in early 1951. The unemployment rate is high (approximately 30%) and 60-70% of the population receive welfare. When industries closed down and people became redundant it had a severe impact on the socio-economics of the area. The New South Wales Premiers Department introduced a community renewal scheme to improve the health, well-being and quality of life of people living in Windale and fortunately the Men’s Shed was derived from that renewal scheme. A project coordinator position was established in 2004 to facilitate the various operational requirements such as training modules, workshop procedures/policies and fit-out. The shed was officially opened in April 2006. The shed is community based and as such members are drawn from the local and broader community. The shed works to benefit the community while completing projects for financial reward. Gains from the shed’s operation are distributed to further local projects and to further assist members. Such income is utilised to maintain the viability of the shed by covering operational oncost, purchases/maintenance of tools and equipment, and to provide materials for new projects. Without said incomes the shed would not be operational. Men traditionally muck around in sheds all of their lives. Perhaps there’s something embedded within the Y chromosome. “It’s very difficult to obtain resources. Sustainability is one of our major focuses and we have a management committee that tries to address the issue on a regular basis. We have been fortunate in the past as funding has come through the federal government. David Helmers was one of our coordinators but he has since moved on to bigger things. He very much obtained his grounding here,” Roger explains. The Shed boasts about 70 members and about 30 regulars turn up on the three days a week that they are open. They vary in age from late 50s to mid-80s but what they all have in common is an eagerness to share. The management team receives a lot of phone calls from partners who ask if they can send their husbands to the shed. They either get sick of them being at home or really just want them to get off the couch and be productive. Walk-ins are common too but due to safety reasons the shed has had to cap membership numbers. They strive for a safe environment here so they avoid cramming the workshop area. 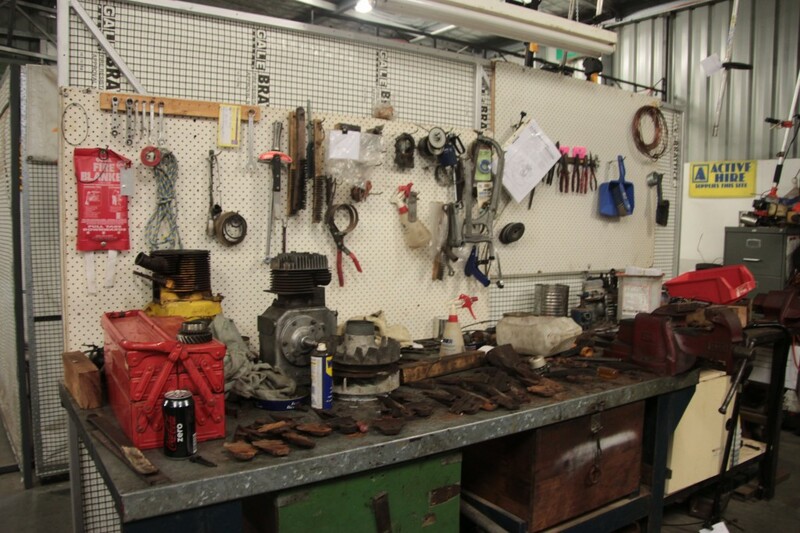 The workshop is filled with various donated tools. The building is divided into a number of spaces, all of which serve their own purpose – there is no wasted space here. A modern office provides the management committee with a space to work in while a newly built multi-function room acts as a storage space and boardroom. The workshop area is fitted out with various tools and equipment donated by locals and businesses in the broader community. 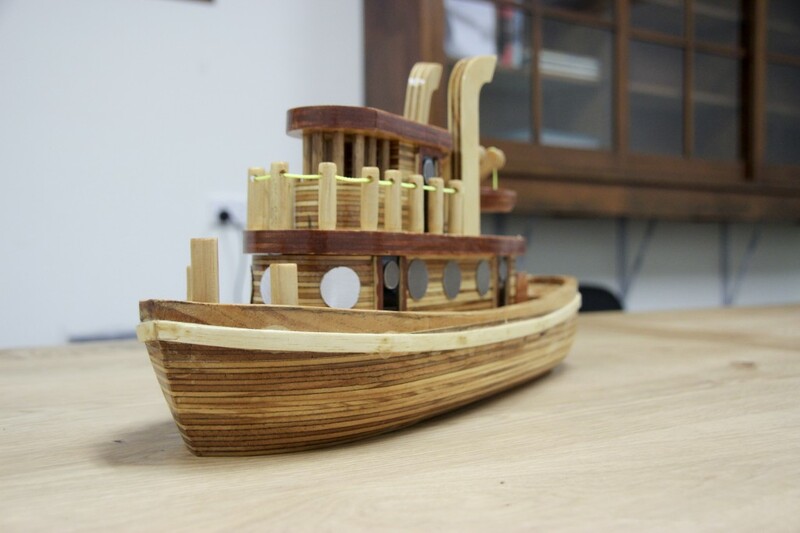 There is a section for woodworking activities and another for metal fabrication. A lunch room is nestled in the back corner of the shed and a rear roller door opens up to an outdoor seating area where members take the opportunity to sit and converse over a cup of coffee. “Men come here and use some of their skills to help one another and to engage in social interaction. The social aspect is pretty strong and I think that’s one of the bottom lines of Men’s Sheds in general. They sometimes talk to one another about things that they may not talk to anyone else about – including their families. “As a result of that, we get involved in a lot of health programs to assist them to explore their physical and mental health. We don’t indulge deeply in the mental health side but we try to assist and provide them with the opportunity to do that. “We generally have two thirds of them coming to the programs so we know that the majority are seeing great benefits in them,” Roger explains. The first health program saw three men attend who hadn’t been to the doctor for five years or more. Needless to say, they discovered health issues they weren’t aware of and one is still battling through complications. The fact that the shed made three more men aware of the importance of physical health is nothing short of a success. “One gentleman recently came in to check the shed out with his daughter. He had a lot of outdoor experience and didn’t know if he had much to offer indoors but he recently told me that he would have been dead if he hadn’t have come here. I think he would have been sitting in God’s departure lounge at home. 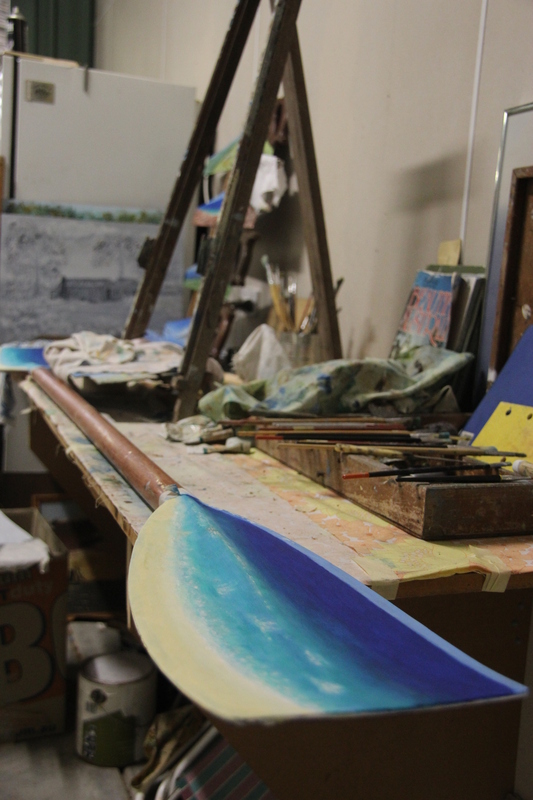 “He stands at an easel and paints all day and we didn’t even know he had that skill. 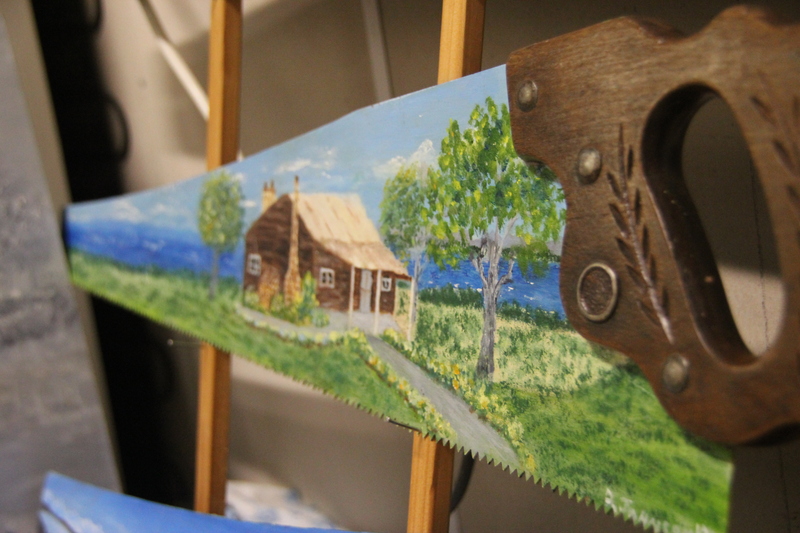 He paints scenes on old hand saws which we try to sell at markets but they don’t usually leave the shed as everyone wants to buy them here,” Roger laughs. 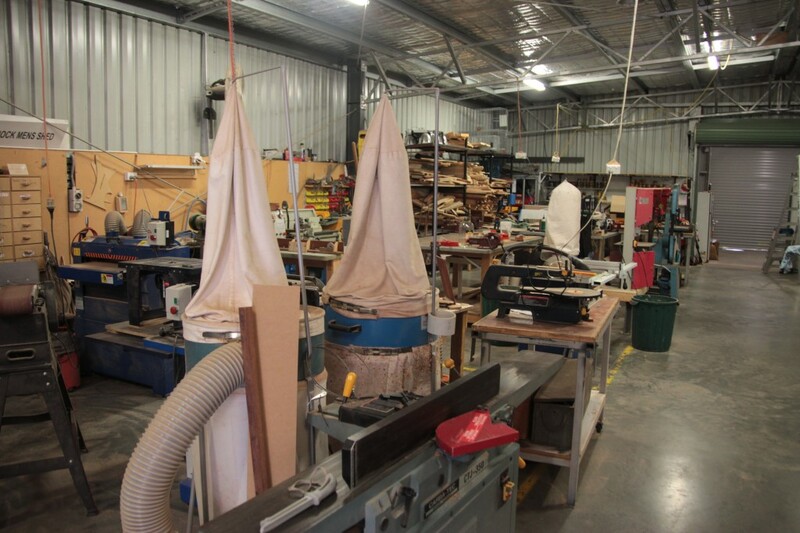 The Windale Men’s Shed has been established to provide a valuable community place where young people can receive mentoring and training from skilled retired or unemployed persons. A key focus is for young people to develop skills; to improve their literacy and numeracy understanding and provide a platform to improve life skills and job opportunities. It’s a model that similar operations hope to emulate one day. “The skill sets they bring to the shed can help break barriers too. A guy might be a bit withdrawn but will want something done and so he’ll ask someone who has the skills in that area to help him. We’re very blessed to have members pass on life-long skills here. We just have to be mindful of the safety aspects associated with workshops. Woodworking is a popular activity in the shed. “We need to make sure we can follow our responsibility as far as safety is concerned as duty of care is a high priority among sheds. We must have adequate signage around the place as well as correctly functioning equipment. A lot of the guys don’t feel like they need the safety reminders and equipment because they have been building stuff for years but we have to encourage them and we always have a supervisor in the workshop,” Roger explains. It goes without saying that a lot of friendships emanate from the shed’s activities. In Roger’s own experience he has built a lot of friendships that never would have eventuated had he not been involved in the shed. Strong bonds have been formed within the greater group through common interests and because of the safe environment that they communicate in. “The shed is community-based which means we get involved in local community projects if we can help. We generally provide assistance through the school process or smaller organisations that need additional help. If jobs border on commercial we don’t touch them as we don’t want to infringe on commercial businesses in the area. If pensioners can’t afford to fix a lawnmower and we have the capacity and resources to do it then we will but those types of jobs are fairly selective,” Roger explains. 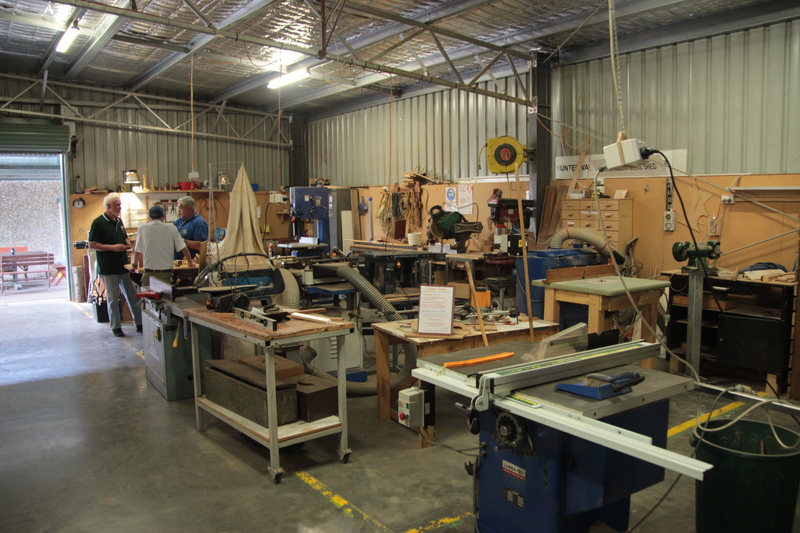 From the outside, the Windale Men’s Shed may not appear too dissimilar to other Men’s Sheds across the country; however, it’s what goes on in the office and behind the scenes that sets them apart. A lot of the wheel was invented here in terms of processes and procedures so the management team receives a lot of calls for assistance. Roger was recently invited to Queensland to make a presentation on how the team structures the shed and they also presented at a conference in Tasmania about their management system. They have been identified as a top-performing shed and a lot of other sheds have sought their assistance before establishing. “We work as a small business and have a management committee that is elected each year. It’s a good opportunity for people to get involved if they wish. We get together once a month and go through our finances and projects and determine where we are at. From there we have tool box meetings with the group and bring them up to speed with what we have discussed before asking them for input. Our main priority is to keep it interesting and alive,” Roger says. Succession is seen as a key component to keeping the momentum going and Roger is always on the lookout for members with leadership and management skills. The members are the most important assets here and I think it’s safe to say that their ‘can do’ attitude is a perfect reflection of the team that works selflessly to keep it ticking.